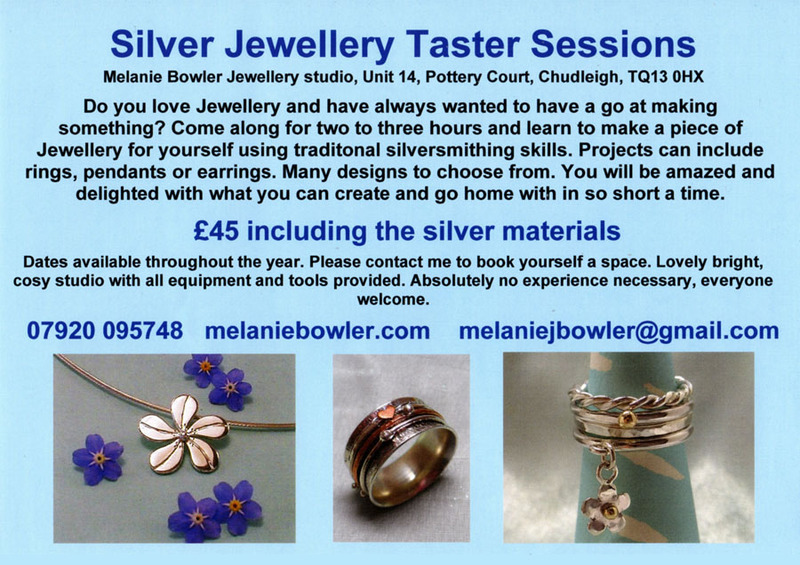 Come along for two to three hours and learn to make a piece of jewellery for yourself, using traditional silversmithing skills. A variety of projects and many designs to choose from. Dates available throughout the year. Make a beautiful piece of jewellery from start to finish in three to four hours. No expereince necessary all tools and equipment provided. 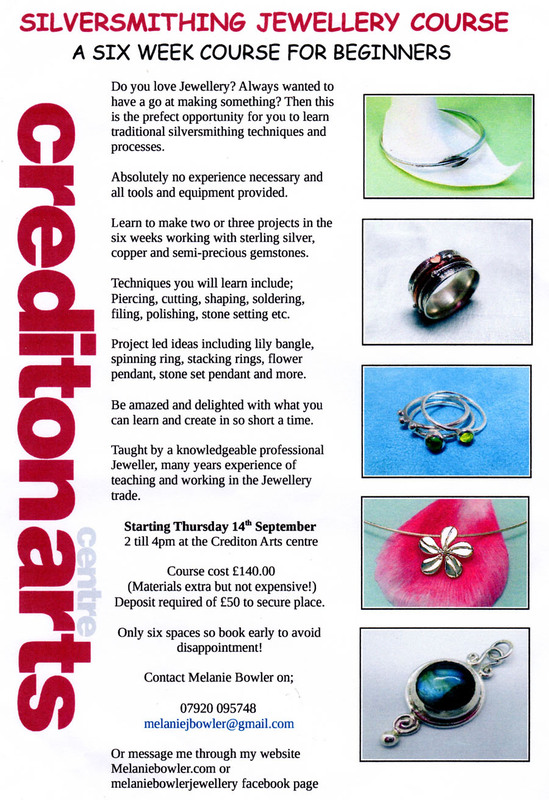 This is a day designed for you to make a professional looking piece of Jewellery from start to finish in one whole day. The day is project led with worksheets and the projects include lily bangle, lily earrings, torque bangle, stone set pendant and stacking rings. 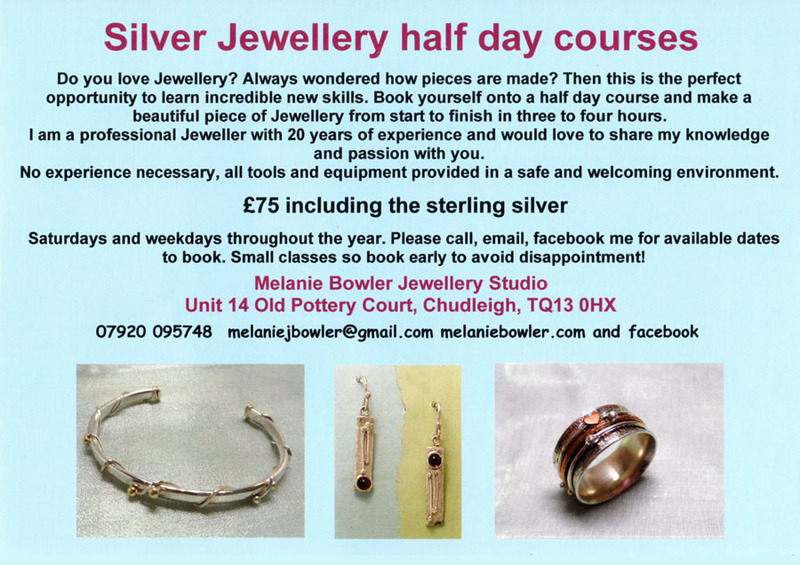 Absolutely no experience is necessary, just turn up and enjoy creating your first piece of traditionally made silver jewellery. The materials are included within the price and you will have a great choice of lovely gemstones to choose from. Its always the choosing of the gemstones at the start of the projects that takes the longest as it is a bit like being in sweetie shop, they are all so lovely! Absolutely no experience is necessary and all tools and equipment are provided within a warm and welcoming environment. This is a course to introduce you to traditional jewellery making skills learning lots of different techniques and processes such as shaping, forging and bending, piercing, hammering, filing, soldering, polishing etc. In the six weeks you will make at least two different projects, maybe even three if you have time. The materials are extra but at trade price so very reasonable and not expensive. 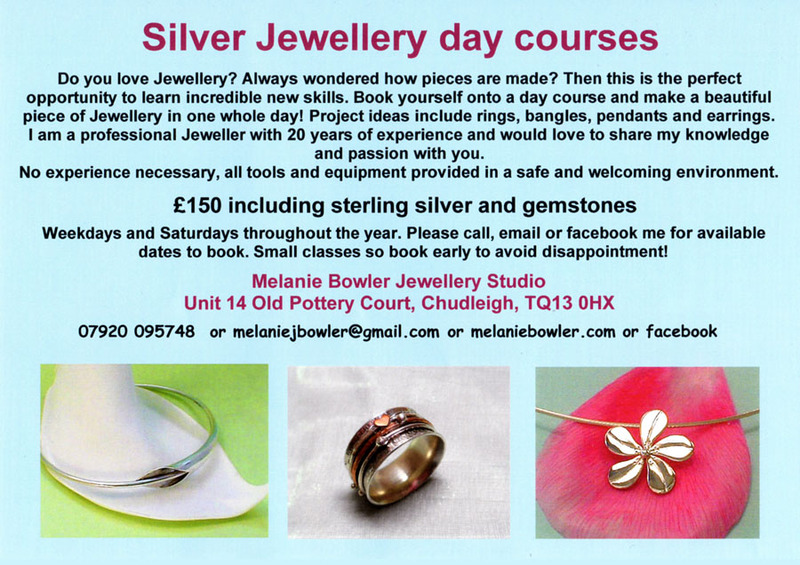 The six week beginners course is project led and the projects include lily bangle, lily drop earrings, stacking rings, stone set pendants and earrings plus many more. Each project has a typed worksheet to keep along the way to make notes on and to refer to. The six weeks give you time to consolidate the skills that you learn as you go along. You will repeat certain processes along the way giving you a good grounding in all the basic and fundamental techniques needed to become an accomplished jeweller. Aimed at the developing jeweller wanting to learn more advanced and intricate techniques. The advanced projects can either be project led or your own designs and ideas. Projects for intermediate/advanced students are more time consuming so only one piece will be completed within the six weeks due to the more complex nature of what you will be making. Projects can include multi stone set bangles, bracelets and rings. Lockets and necklaces featuring hinges. Claw settings, faceted stone settings and flush set stones. • see photos of students’ work and be impressed with what they have achieved, something to aspire to! 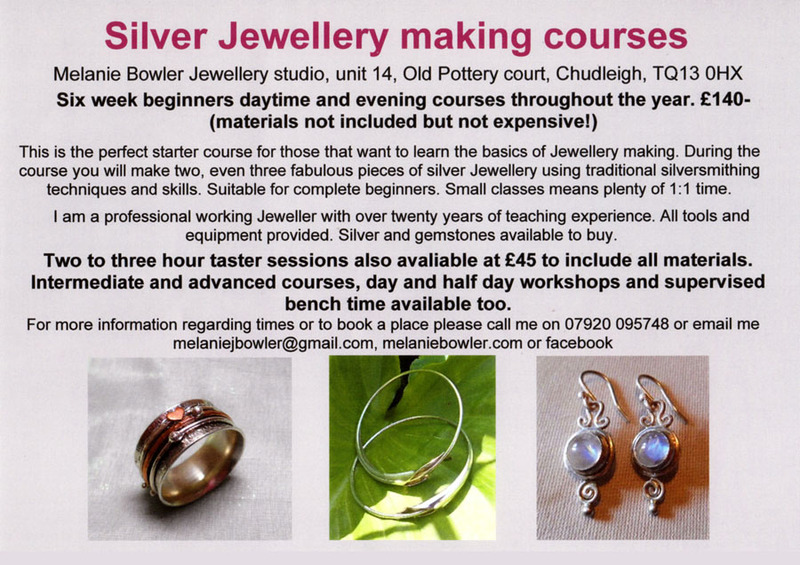 This is a course to introduce you to traditional jewellery making skills learning lots of different techniques and processes such as shaping, forging and bending, piercing, hammering, filing, soldering, polishing etc. In the six weeks you will make at least two different projects, maybe even three if you have time. The materials are extra but at trade price so very reasonable and not expensive.